and Cultural Center in Chiles-Pope Valley. Lisa: What are some of the projects and issues that the Suscol Intertribal Council is currently working on? Charlie: First, let me tell you about the build out of Suskol House. In 1992, we had a vision to create a spiritual gathering place as a stepping stone to healing the post-colonial trauma, the trauma of colonization, and the invasions of Europeans that the California indigenous people have endured. They were in a very deep space of inter-generational grief, post-colonial trauma, stress. They were just in the very early stages of recovery, and, what a few other elders and I were talking about was that we needed a safe place to do ceremony. What Jim Big Bear King used to say, and I think this sums it up, is, “Where’s my church? The sky is the roof. The Earth is the floor. The fire is the heart. Without these things, I cannot pray. Where’s my church?” . . The fire is like a telephone line to the universe. So the fire needs to touch the Earth and be open to the sky. At that time there wasn’t a safe place on the reservations to do ceremony because the people on the reservation had all been Christianized in order to survive. They had to take on Christianity at force of death. So most California Indians are some kind of Christian. So, on the reservation, the indigenous ceremony was considered satanic and evil. Until the 1990s, it was still against the law to do ceremony. You’d often be harassed by the police, the army, or some were even killed for praying, doing ceremony. We tried to reactivate ceremony in the Napa Valley in 1998. We had to deal with harassment from the police, and that went on for years. So that’s kind of where we are now. We purchased the land for Suskol House in 1990, 20 acres in Pope Valley. It’s dedicated to the Unity of all Lives. We’ve had people from all over the world coming there, even though it’s still open land. That’s why we’ve been looking for publicity now, to find help find in funding and collaborators in the building out of the center, as it isn’t finished. Native peoples from around the world have been coming to consult with us as well as use the center for ceremony. Indigenous groups from East Africa, Samoa, people of Hindi religions, the Maoris of New Zealand, the Lenca from El Salvador, and now the International Council of 13 Indigenous Grandmothers. So, that’s the future. Our center, like any center, will be an active place, and people of the world will be coming to use it. As a compass point, every circle has it’s center. We hope to be the center for the San Francisco Bay area. That’s really beginning to happen now, in quantum leaps. Lisa: Tell me about your new project on Prevention and Early Intervention. Charlie: Native American life expectancy is 48 years in the US, and they have the highest suicide rate of any ethnic group in the world. We are the only true minority in the world. All the other minority groups have a country where they can go home to, where they can have their language, their culture, their customs. Native Americans only exist within the boundaries of the U.S. We are the highest at-risk population, so mental health services prevention is a very important issue and is the basis of our work here. In our new project, funds are coming from the state, being distributed through the counties, and then we’re contracted with Napa County to create programs for native peoples in the area based on what we’ve found that works related to self-esteem matters. Working with young kids and making sure they get access to their culture and ceremony helps strengthen their self-esteem, the community, and their survival rates. We’re going to be focusing on families in our events, all ages, in efforts to bring together elders, adults, and children, and then doing cultural projects on language, regalia, and what’s requested. We’ve also been producing a pow-wow, a public sharing of our culture for 18 years now in the Napa Valley, and we’ve also put on an art auction for over 15 years. This will be the first time we have money from the county, and, Louis, who is coordinating the Prevention and Early Intervention Program, is our first paid employee ever. All this time, we’ve been all volunteer. He’s working to coordinate the programs and build cohesion within the scattered intertribal people that currently live in Napa County. Of course, we’ve been working towards these same issues without any funding since 1972, creating a cohesive base for Native American people to come together. That’s a key element, being around people that have experienced similar trauma and trying to address the stressors. Lisa:Tell me more about the issues that the project is addressing. Charlie:Really, the society has put the responsibility for healing on the victims, for healing from the intergenerational grief and removing the stressors themselves. High rates of alcoholism, suicide, substance abuse is the result of extreme stressors, and, in order to create healing, we need to remove the stress from that ethnic minority. Society has to help to do that. I think that’s the most important message that we’ve been trying to spread for the past thirty years. So, that notion shifts the burden to the society to understand the stressors and help collectively to remove those stressors from Native Americans. You are helping us share, share our culture and what we want as an ethnic group, and give us voice in the larger community, that’s the kind of help we need. We’ve had that kind of help in a lot of small ways. Unfortunately, right now, the cities, Napa City Council, American Canyon, St. Helena, and the County Supervisors, have collectively, and in closed session, have voted to join a lawsuit against people indigenous to this land, the Mishewal Wappo, blocking their federal re-recognition as a tribe. The Mishewal Wappo have lived in this valley for more than 60,000 years, and, now, after being the victims of mass genocide and working hard to reorganize, they are close to being re-recognized by the federal government. The city council and county supervisors are trying to block this re-recognition. The Mishewal Wappo were listed as terminated and killed unjustly about 120 years ago, along with hundreds of other tribes around the U.S.
That’s just another rock added on this already heavily oppressed group. The lie that’s been told in Northern California, and especially in the Napa Valley, is that all the native people were transient people, and, as the European people came in, they discovered a pristine wilderness. They didn’t discover anything; they invaded a land that was occupied by permanent village dwelling people that had been here for over 60,000 years. That’s what has been archeologically proven. Then they began the mass slaughter. We want people to have a basic understanding of this, and then we want people to collectively begin removing those stressors, healing and moving into wellness together. So, opportunities like this, to tell the truth, to share, are real important. The myth is that the indians were transient people, that they left here voluntarily as the Europeans came to settle here. That’s the myth, and it’s a lie, and it is very very damaging. I want to stay very focused on what we’re doing at Suscol Intertribal Council, with the fundraising for Suskol House and getting our projects going. Long ago, I learned to focus on moving towards solutions verses fighting against what you don’t want, because fighting just feeds more of what you don’t want. So, I’m putting this issue back on the collective. I invite people to call their council people and the county supervisors and ask them, “Why are you doing this? Why are you using taxpayer money to stop people native to this place from reorganizing after all they’ve endured?” Then call me, and tell me what they say. Suscol Intertribal Council: www.suscol.nativeweb.org. Charlie Toledo can be reached at suscol@suscol.net, (707) 256-3561. Volunteers and donations are gratefully accepted. 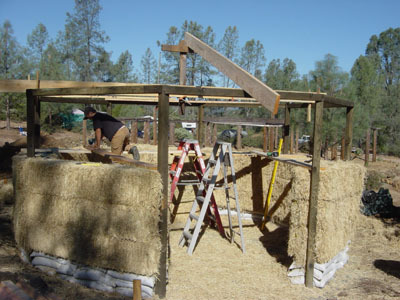 Donations to help build Suscol House can be given by Pay Pal at www.suscol.nativeweb.org/donate.php or checks can be sent to Suscol Intertribal Council, PO Box 5386, Napa, CA 94581.